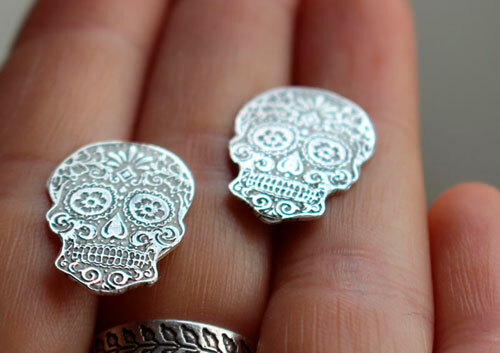 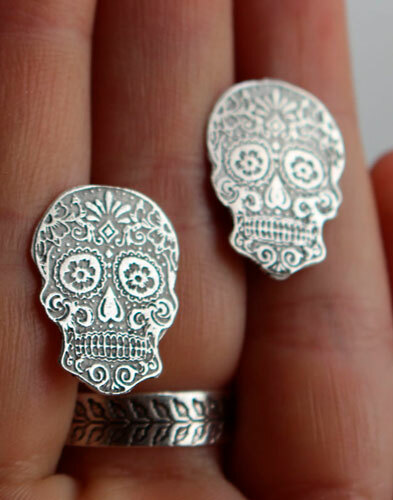 These sterling silver studs are engraved with a Mexican sugar skull pattern. 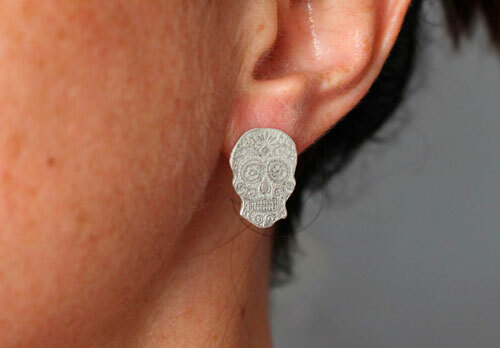 If you like the Mexican folklore and design, these post earrings are made just for you. 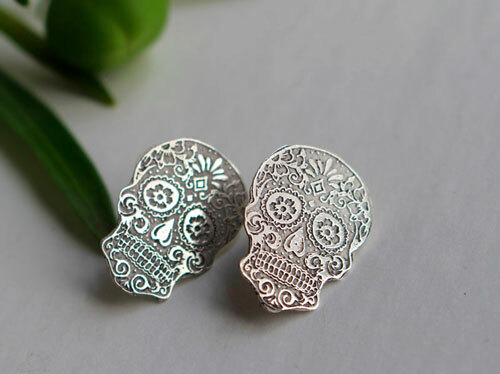 I will need 3 days to make these earrings before shipping your package. 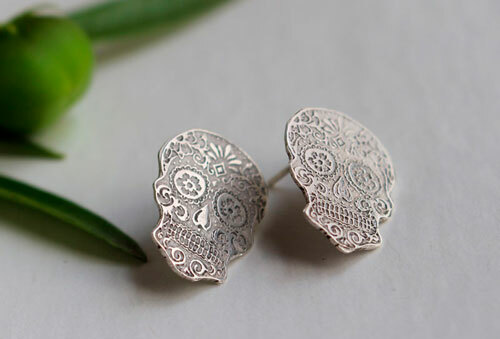 Tag: earrings, studs, skull, calaca, Catrina, mexican, design, folk, traditional, modern, teenager, adult, feminine, discreet, classy, sleek, sugar skull, Mexico, art, flower, day of the dead, tradition.